Philosophical thinking permeates all areas of cultural activity, and the Durham Centre for Ancient and Medieval Philosophy exists to capitalise on the multi- and inter-disciplinary potential of its study in the pre-modern period. It seeks to promote collaborative engagement between researchers from across the Faculty of Arts and Humanities and beyond, with the aim of deepening our understanding of the philosophical movements that have shaped our world and their relationships with their surrounding cultures; and of strengthening Durham’s international profile in the study of the history of philosophy. The impetus for the creation of this Centre, in 2017, was twofold. On the one hand, it builds on long-standing and distinctive strength in the field of Ancient Philosophy in the Classics Department. On the other, it aims to develop the study of Medieval Philosophy as part of Durham’s international reputation in the study of the Medieval world. There was no similar centre for the study of Medieval Philosophy in the United Kingdom, and so the Centre aimed to fill a gap and to make Durham a world leader in the study of Ancient and Medieval Philosophy. The following are the principal ways in which the Centre aims to augment and add value to existing research activity at Durham University. Insofar as medieval thought lies in a recognisable and explicit tradition of engagement with ancient thought, there is very obvious scope for dialogue between these two areas. 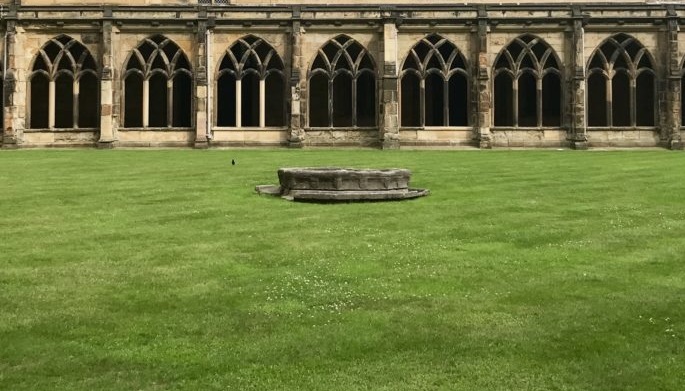 The Centre provides an occasion for this dialogue: to enlarge the horizons of Ancient Philosophy as it is currently studied in Durham, while at the same time developing and promoting Medieval Philosophy as a new research strength. The Centre most obviously complements and supports the research agendas of the Departments of Classics, Philosophy, Theology, and of the Institute of Medieval Studies. Its field of interest draws on intellectual skills and a historical range to which all four contribute: in this sense the Centre does not aim to proliferate expertise or duplicate effort, but to coordinate and realise strength which existing divisions obscure. As well as realising existing potential, the Centre will naturally encourage new collaborations. Most obviously, it offers a new space to explore common interests between Classics and Philosophy with Theology and History. The IMEMS Medieval Mind lecture series, started in 2014 and supported by the Philosophy, Theology and History Departments, shows the appetite for such explorations. Meanwhile, the Wellcome-funded ‘Life of Breath’ project illustrates something of the potential for wider, as yet unexplored collaborations – in this case, involving the history, philosophy and practice of science. The Centre also aims to build on and develop collaborations initiated through personal contact with cognate Centres and Societies elsewhere: regionally, nationally, and abroad. The Centre is well placed to develop large collaborative – and interdisciplinary – projects well suited to AHRC and Leverhulme funding calls, and it is part of its mission to do so; but also to use its wider collaborations to look beyond the ‘core’ AH funding bodies – for example Wellcome (as in the case of ‘Life of Breath’). In short, this Centre is well placed to promote excellence and leadership in research, the guiding principal of University, Faculty and Department strategies; and especially, in support of the University Research Strategy, to promote interdisciplinary and multidisciplinary research programmes, and to create and lead future research programmes.